In 1981, Rode Pool Services was started by two couples in a partnership. Two years later in March of 1983, Mike and June Gervais bought the business as a going concern off the two couples. Opening 6 days a week, Mike did the small amount of regular servicing and call outs that came in and their 3 sons Mark, Luke and Carl helped out in the shop and on school holidays. To grow the business Mike would do “free” pool instructions for new clients and new pool owners, this took place early mornings before work, and increased the client base quite substantially. Mike’s first casual employee was Mrs My Buick, who did the regular services three days a week and also helped out in the store when required. Luke started Sunday trading 9am – 1pm in the Summer of 1983, being dropped off to open and picked up after close. (an incentive of 10% of the takings to Luke, was enough to continue the practice for many years). We started selling Davey pumps, filters and products in 1985... we're still using and recommending Davey products today 30 yrs later! A few years later in 1985, Mike hired a Bob and Frank as casual employees, who were both employed by Qld Fire & Rescue with Mary soon following as a full time employee. In the following years the employment pool (no pun intended) grew to include three service vans on the road. In 1998 The Gap Store opened in The Gap Handyman Centre with a very small regular service roster. In 1999 our dedicated Operations Manager Steve joined us at the Stafford store. In 2001 The Gap store started the infamous Rode Pools Charity Golf Day, this was held over the next 12 years, raising well over $60,000 for Mt Olivet Palliative Care, later St Vincents. 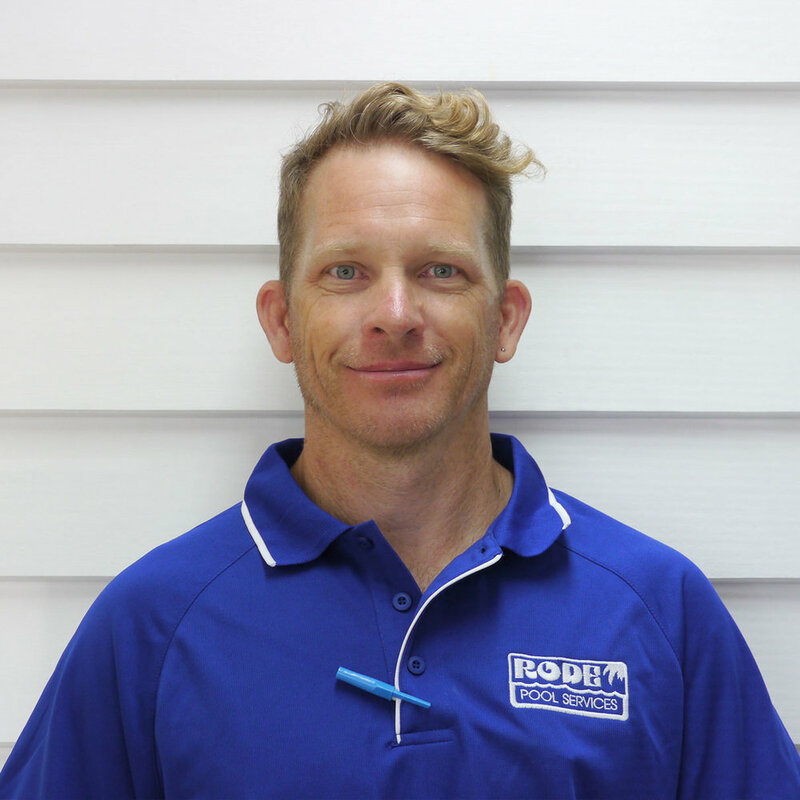 Our Service Manager Tom joined us as a Service Technician in November 2005, servicing all different pools and assisting customers across all our service regions and stores. To keep up with the expanding service work and customers we opened our 3rd store at Windsor in 2006. With a larger warehouse space to hold stock for all 3 stores, as well as a base for our service technicians. We also celebrated our 25 Year Anniversary of Rode Pools that year. In October 2009, our Store Manager at The Gap - Adam rejoined us after a brief break from the industry, becoming a highly knowledgable & respected member of The Gap community. Shortly after in November 2009 Jarrod, another The Gap local, joined us as as a "junior" staff member. 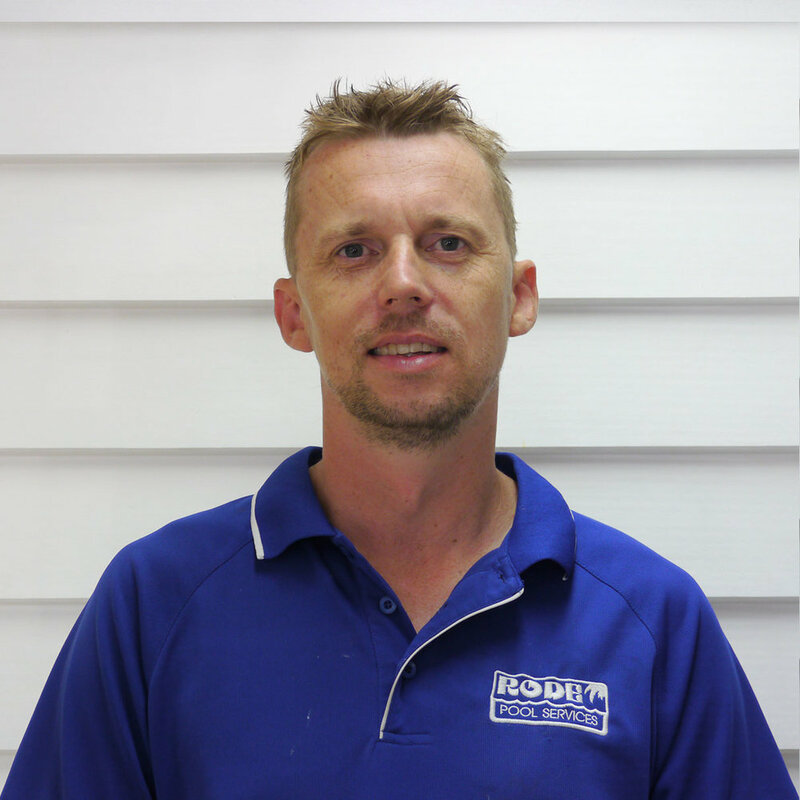 Jarrod now co-ordinates our service technicians and assists our customers each day as our Service Manager. In 2010 we launched our 1st website redevelopment with the addition of online pool service bookings and we entered the world of Facebook. Seeing a wide spread acceptance of working with and using new technology, in 2011 we started selling Maytronics Robotic Pool Cleaners. ECO pumps were also very new and with high electricity prices, these were, and still are a very popular way to reduce the cost of pool maintenance. 2014 saw us get started on Instagram as well as sending regular monthly informative emails to our customer base. Using these social media platforms was a keynote speech at the 2015 Maytronics Conference in Vietnam where a few or our staff helped build infrastructure for the local residents as well as get the latest information on the next generation of automated products from Maytronics. In 2018 we celebrate the 20th Anniversary of The Gap Store. We also renovated all three of our stores with additional amenities for our staff, as well as opening up the spaces for customers to feel more relaxed when they come to visit. Some familiar faces you may recall from in store or next to your pool, brothers Luke and Carl have been working at Rode Pools since they were teenagers. Operations Manager Steve has been with us since 1998 and knows just about everything there is to know about all of our customers pools having been to most of them in person too! Meet the rest of the team so you can now put a face to the name on the other end of the phone, email or test kit! Everyone is working hard over the Summer to keep your pool clean, clear and ready to dive into! Check back soon for more Team News.